Anyone who knows me personally will know that there are two things that I’m pretty passionate about – hockey and start-ups. Combine the two of those and you really have my attention. That’s exactly what the guys at Colt Hockey have done as well. After reading a bit about their project, I wanted to help spread the word and do what I can to make sure they are fully funded on KickStarter. Below you will find some more details about Colt Hockey and their KickStarter project – engineering a better hockey stick. The COLT Hockey team is composed of a group of self-motivated, passionate individuals who want to make a difference within the hockey community. As young hockey players, nothing was more depressing than finally getting your hands on a brand new stick only to have it shatter unexpectedly on your best shot of the season. Now, older and still in love with the game, we decided that our Nation’s sport deserved a higher standard of equipment. In pursuing that dream, we came across PowerMetal and saw an opportunity to turn our pursuit into reality. Our partner, PowerMetal Technologies, is a company with expertise in delivering top quality sporting goods with an emphasis on increased durability and weight savings. 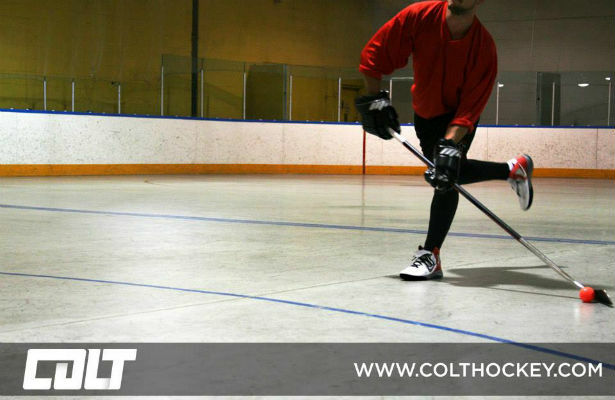 After successfully executing projects with industry leading sporting goods companies, PowerMetal has deemed the COLT hockey stick project to be a natural next step in their mission to provide superior equipment to the global sporting community. As such, they agreed to partner with us for this project to engineer a hockey stick that delivers the performance and durability demanded by hockey enthusiasts around the world. Through their technology licensor, Integran Technologies Inc., a leading metallurgical nano-technology company located right here in the Greater Toronto Area, PowerMetal has worked closely with us in developing the COLT! Integran`s patented nano-technology was initially invented at Queen’s University, and through collaborations with the University of Toronto and other international organizations, has been further advanced for use in a wide range of applications, from nuclear power plants to aerospace components. The PowerMetal material strength is derived from its metal atom arrangement. For instance, in normal metals, the atoms form crystals or grains that are about 20 microns in size; in PowerMetal, those grains are 1,000 times smaller (i.e., 20 nanometre in size) – translating into a dramatic increase in strength. To put things in perspective, when a thin layer of PowerMetal was applied to a Ping-Pong ball, it was strong enough to withstand 200lbs –a feat that certainly caught our attention. 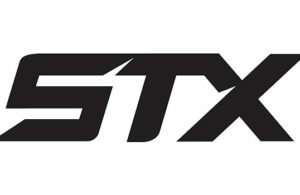 Ultimately, the COLT has been designed to be the world’s first hockey stick that performs at a high level while withstanding the high impact nature of the sport. With the PowerMetal application, the COLT will be substantially more durable than a high-level composite, specifically allowing it to endure slashes, hits, and high impact shots without compromising performance. This, of course, means that the COLT is less susceptible to the natural wear and tear that diminishes a stick’s performance over time; thus preserving the high quality observed from a new stick, longer. In addition, the PowerMetal does not hinder the COLT’s ability to flex – thereby maintaining the performance quality that elite hockey players around the world have grown accustomed to. The engineering of the COLT has allowed for a product that provides performance matching of current elite hockey stick offerings, while providing enhanced longevity, durability, and a significantly reduced risk of unexpected, catastrophic failures. The team from Colt Hockey sent some additional details my way that should help to convince you to back this project. First and foremost, the final product will be light weight. In fact, it will rank among the top 10 percentile of elite hockey stick offerings. Additionally, it is engineered with toughness and strength that is 7x what current composite sticks offer. In other words, slashes and other physical play will be no issue for the Colt stick. If you’re interested in learning more about the project or Colt Hockey, head over to their KickStarter page. By backing the project with only $150 CAD, you can get yourself one of the new Colt sticks. If you jump up to $370, you can also customize your sticks color, along with adding your name and number on it. Drop us a line in the comments and let us know your thoughts about this project. Are you backing it? Do you think they have a chance to succeed in a highly competitive industry? The Colt sounds very interesting. Are you willing to provide me with a stick to try out, or where can I buy one? Would like to stock some at my shop. Great to hear it is made in Canada. Which blades/curves are availlable at the moment? I dont think that you will start with all curves, maybe just the common one´s. Also possible to get it in Germany or Europe? Did you find the way to get stick in Europe? :) Shipping from their official page is quite expensive. To learn more about the COLT, or to contact us directly, please visit our Facebook page and other social feeds @COLThockey. BEWARE THIS COLT HOCKEY IS A SCAM TO GET YOUR MONEY. THE STICKS THEY ARE SELLING HAVE NOT EVEN BEEN MANUFACTURED. WHEN YOU INQUIRTE ABOUT YOUR ORDER THEY CLAIM THE STICK IS IN PRODUCTION ALL WHILE WE ARE OUT OUR $350.00. AS A RESULT MY CHILD WILL NOT HAVE A CHRISTMAS PRESENT. Hi James – I know that they were hoping to get all the sticks out by Christmas, but a lot of orders, so I don’t know if everyone got them in time? They are good guys, I think originally their system was charging people as soon as they bought them and they were on backorder. I believe it has been solved now (charged when the order is fulfilled). That being said they are now shipping all product within two days! @James Which is why people are posting on twitter and facebook that they are getting their sticks? the submit, we want work out more techniques in this regard, thanks for sharing. I like the sounds of this stick I would like to get one and test it myself. Then I can introduce to the kids that I coach and there parents. Hey Guys – I’ve had my COLT for a few months now and just love it. I play a lot of men’s league hockey and I hadn’t had any stick last me longer than a month.